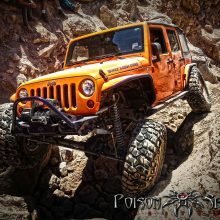 Poison Spyder has been making some of the best Jeep JK armor for years now, and has become one of the go-to manufacturers when you’re looking for the absolute best gear. 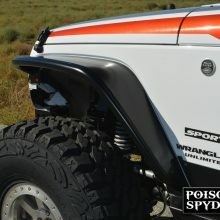 Poison Spyder JK Fenders are no exception – once installed you can jump on these fenders, smash them and run them into brush without a thought. Standard JK flares look fine, but the thin sheet metal and plastic that make up factory flares just won’t handle the abuse of going offroad. From running into brush, to the occasional brush with a rock or tree, the factory flares will quickly be peeled off your Jeep… Then it’s time to upgrade!. 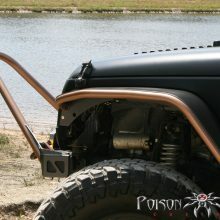 Poison Spyder JK Fender flares come in either steel or aluminium. The steel is very strong, and if you anticipate really beating on your JK then that would be a great choice. The aluminium kit is about 1/3 the weight, and while it’s strong as well, it’s not as strong as the steel. 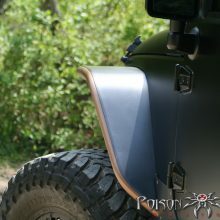 Poison Spyder JK fenders are the way to go if you can afford it. The Crusher kits are complete, have great instructions, and make an amazing finished product. you’ll have to get them painted, since the come a bare metal, but once you get them installed, the look is great, and they are super strong. The stainless steel hardware is a big deal – it makes the kit look great, and won’t rust in the future. 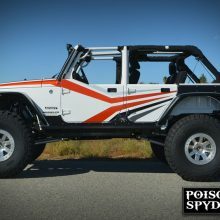 It really stinks to buy a kit for several hundred dollars, and get cheap undercoated fasteners, Poison Spyder doesn’t make that mistake. 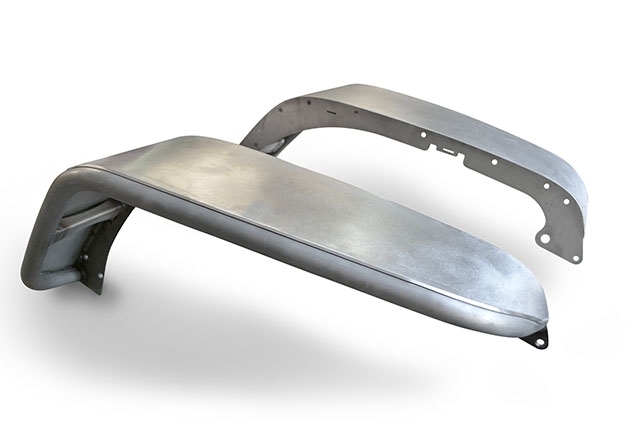 The fender includes mounting provisions for LED turn signals, but the signals themselves are not included. 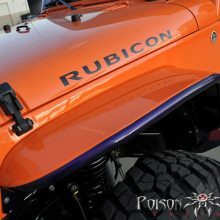 Exclusive Inner Brace Set – Every set of Poison Spyder JK Crusher Flares™ comes with a set of inner braces that tie the Crusher Flare in to the sturdier, heavier-gauge steel of the JK’s inner body tub structure. 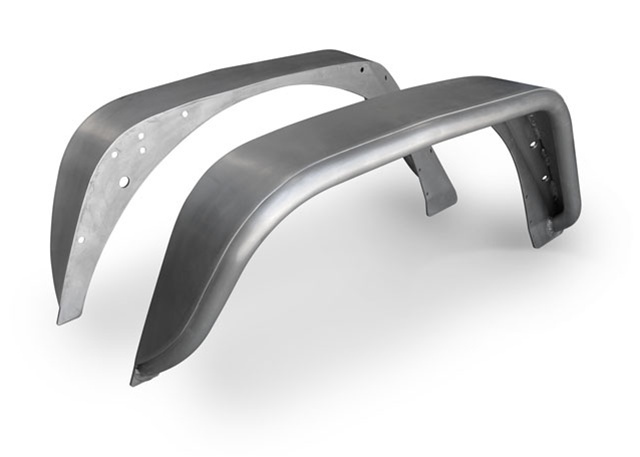 Rubber Liners Included – includes high quality rubber liners to place between the Crusher Flare and the Jeep’s body sheetmetal. 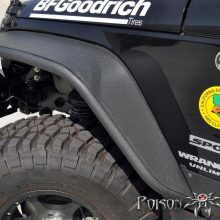 The rubber liners protect your Jeep’s exterior paint, where the flare contacts it. It also helps even out the contact area of the Crusher Flare, absorbing any small bumps or imperfections between the mated surfaces. Inner Brace Kit – Transfers impact forces through the Crusher Flare™ to the sturdy inner tube of the Jeep, which is made of much thicker material than the thin sheetmetal exterior skin.